I would say that your drawings are amazingly beautiful. I am really fond of them. You call them organic drawings because you do not use straight lines. Can you explain what the drawings signify and what the concept is behind them? So how do they relate to your views on nationality? Some of your works remind me of refugees moving from one point to another so I read it from the different perspective. I often experience, research, and observe cities with my body and mind before I start to draw. Walking around a city capturing the essence, the atmosphere and not a sketch of the place. In 2016 for example I did a project at Pi Artworks London titled London Crossroads, which was exhibited in the gallery with some other crossroads films I had done since 2002. For London Crossroads I collaborated with eleven students from Trinity Laban Dance Conservator. I decided to collaborate with the Trinity Laban due to its history of teaching a dance methodology that investigates the relationship between the human body and architecture, which is a constant theme in my works. The resulting work consists of a stationary 150-minute single-take shot filmed from a window near Oxford Circus. The camera’s angle and motionlessness in addition to the absence of post-production gives the film a starkly empirical and evidential feel reminiscent of CCTV camera footage. London Crossroads observes human bodies as they move through the intersection unaware that they are interconnected and influencing each other’s movement as they only meet once at this certain point in time. 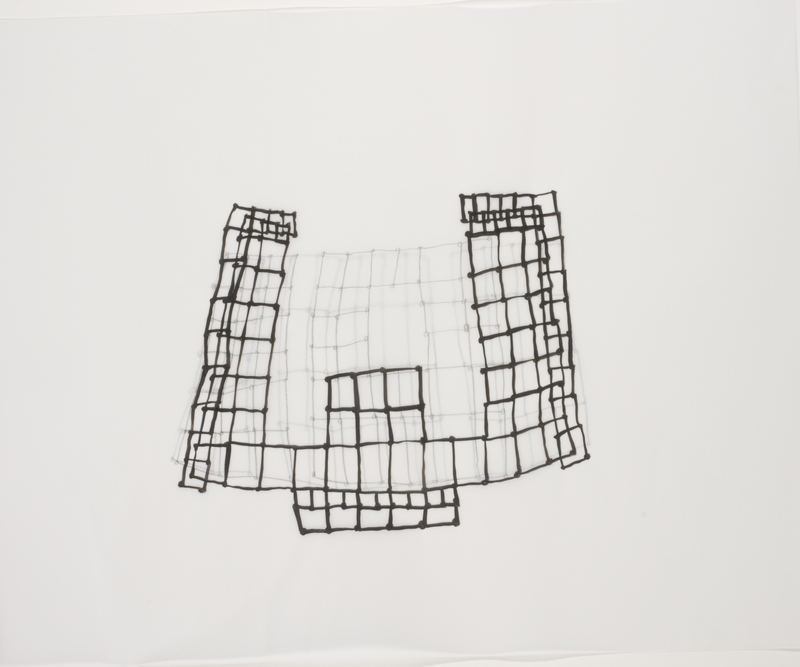 Like my drawings, the moving image consists of multiple layers placed over the logic of the net. Moving amongst the other ordinary people, tourists, shoppers, and workers were the eleven Trinity Laban Dance School students. To prepare, I had held improvisational rehearsals for their scripted and impromptu movement across the streets. In the film which is around 3 hours long the viewer follows the color of suits or jackets as a pattern, an abstract structure. This net-like movement configuration of 11 people interacting with structures of reality is similar to layered sheets with dots and lines in my tracing paper drawings. This is also suggesting an architectural design somehow. The human body in relation to architecture, yes. It also goes back to another interesting project that I did in collaboration with the Drawing Center in New York 2011 – 2013 . 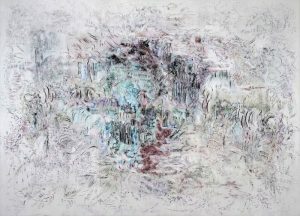 The director Brett Littman who saw my approximately 300 drawings at Venice Biennale in 2009 (Fare Mondi exhibition) said that they reminded him of movement/dance and he then connected me to Luca Veggetti a choreographer in New York. We worked together on the project Notationotations for 3 years. Yeah I watched it on Youtube. It was actually a more intense experience for the viewer to be in the space with an incredible atmosphere. The visitors became part of the performance. 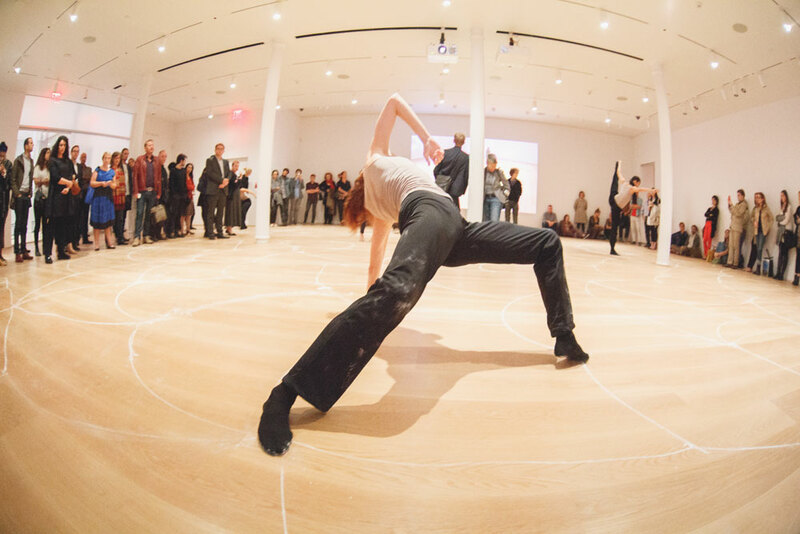 Three dancers from Martha Graham Dance Company performed and erased a chalk drawing I did every morning on the Drawing Center’s floor. During this project I learned a lot about my drawing method in relation to movement and body capacity. Using ink and a small brush for my connected dots and lines in the tracing paper drawings, I always work without interruption, in real time. I never re-do lines. Like dancers in a live performance they have no option to re-do a step or movement. Most of your drawings remind me of Mashrabiyas that I really love. Mashrabiyas have a deeper meaning behind them of course, like female identity and a connection to Islamic art. Arabic, English and sometimes new creations of words and signs. Often I use sentences which are difficult to understand or to really imagine with our minds. Like meditation screens I use for example words such as : “silence forever”. We cannot imagine the real meaning of “silence forever” with our human brains. For example when I see Mashrabiyas or cages, all of a sudden it reminds me of Ottoman women who are being kept inside due to the societal pressure put on them. The viewer, the observer is as important as the work. We see what we know. People project different meanings onto my Mashrabiya screens related to their own cultural context. When I exhibited the screens in different countries, everybody viewed something else. In the western world for example people sometimes can only see patterns and no writing. The work gets another meaning. I have read an article about these Mashrabiyas. Can we say that the structures are like DNA? We can mention about your background. You come from the different cultural landscapes of Germany and Egypt. I have Egyptian and German roots. I was luckily born into this interesting context. It enriched me and made me aware of many layers in life. So do you believe as an artist you have the power to raise awareness by expressing your ideological approach? The performance Notationotations at the Drawing Center NYC is a good example. The audience experienced and became aware of how they were part of the work. Each day was different, never the same. The notations for the dancers were not fixed. Will you do this performance again? I would really like to see it. No, this work was developed uniquely for NYC and the Drawing Center. It was such a special atmosphere. After some time the audiences started to move and they became part of it. The people were moving like one structure, the energy of everybody connected. I remember one evening suddenly I saw that everybody at one point formed a perfect circle together. Yes – and you could feel it in the room and your own body. It was really amazing. Not to be repeated is part of the work. I am sure there shall be other projects with dance and drawing I will develop in the future in other contexts. The masks are inspired by my German roots. In the South of Germany, there are villages who celebrate Carnival at the end of winter time with masks. Each village tells a story of different characters like a fairytale. Once a year everyone behind the mask is telling the truth. Each family keeps their wooden masks and hands them over to the next generation. Similar to the wood carvers in Egypt who prepare the wood for the Mashrabiyas there are crafts people in Germany who only do masks. I created several characters with my own face using carnival elements such as age, nature, plants, the moon, and different emotions such as anger or happiness, etc. 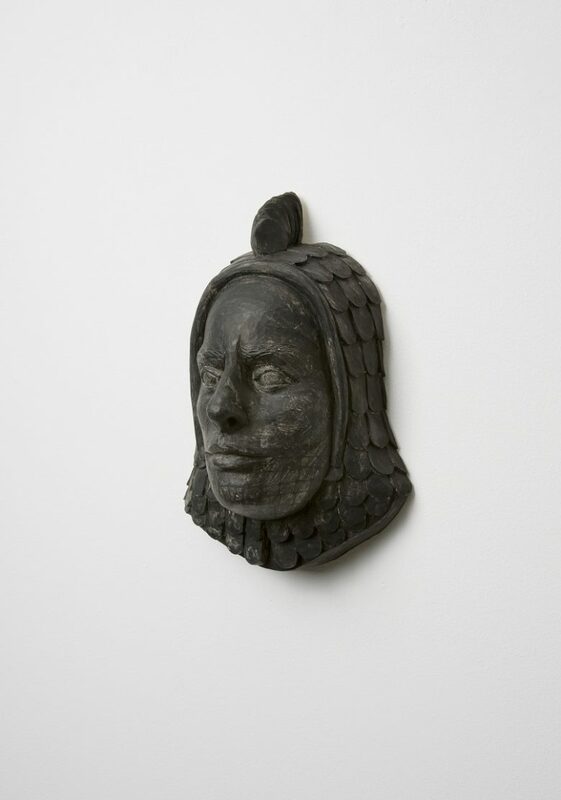 The wooden masks, as the wooden Mashrabiya screens are painted with black ink. The ink is also used to make the drawings on tracing paper. What I understand now, the drawings, Mashrabiyas and the masks are actually like one piece. These elements belong together, like elements in my “Hefuna universe”. 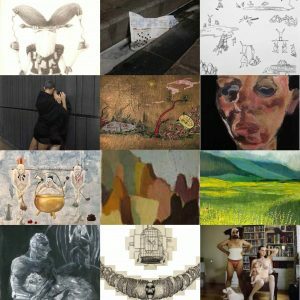 Any upcoming exhibitions, new Projects? Currently there are many upcoming in America. 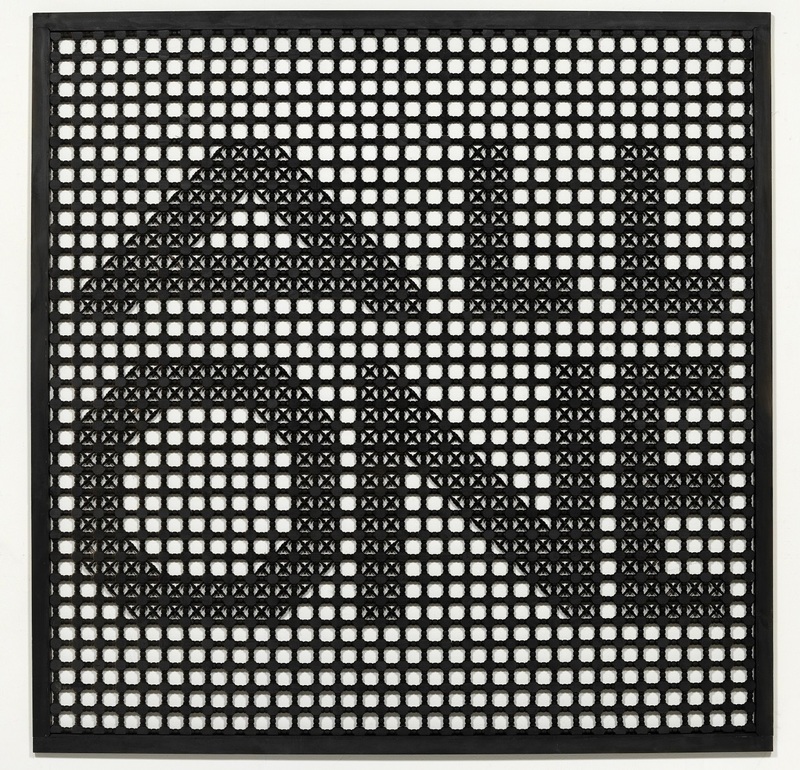 My big solo show at the Whitworth Art Gallery in Manchester, UK just closed. In general I work continuously and enjoy being surprised by my work, which I do not know yet. They are great, unique pieces. Thank you. Each is a direct mold of my face with plaster over the years – each is totally unique, not repeatable. And it is kind of personal. Very personal. Each mask is revealing a part of me. Yes, they also have sentimental value. So you live in different cities, where do you live actually now? In Dusseldorf and New York. Partly in Egypt. And I travel a lot due to projects and exhibitions in several counties. Some of my works, like the screens or installations are developed in Egypt. Drawing I mostly do in NYC. What is the response you get from the collectors and audiences in different countries? I exhibit the same works all over the world. Many of them travel a lot in different contexts. 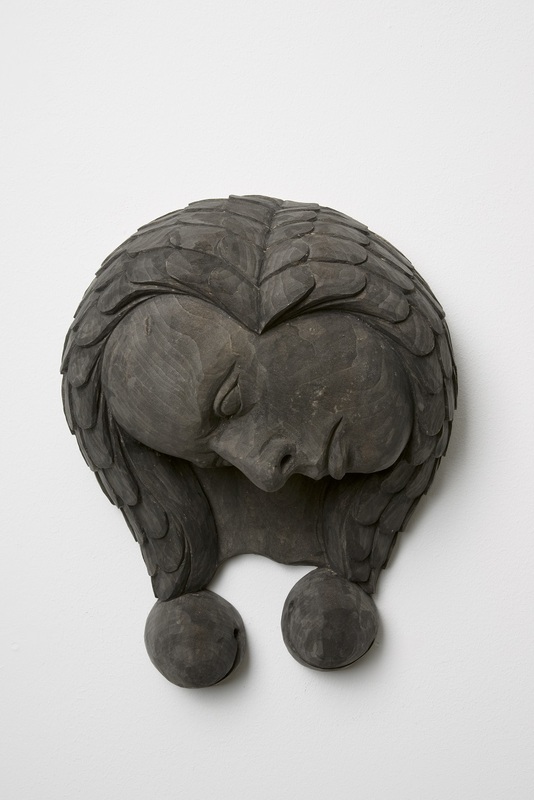 Some of the masks I exhibited in 2007 at Townhouse Gallery in Cairo. 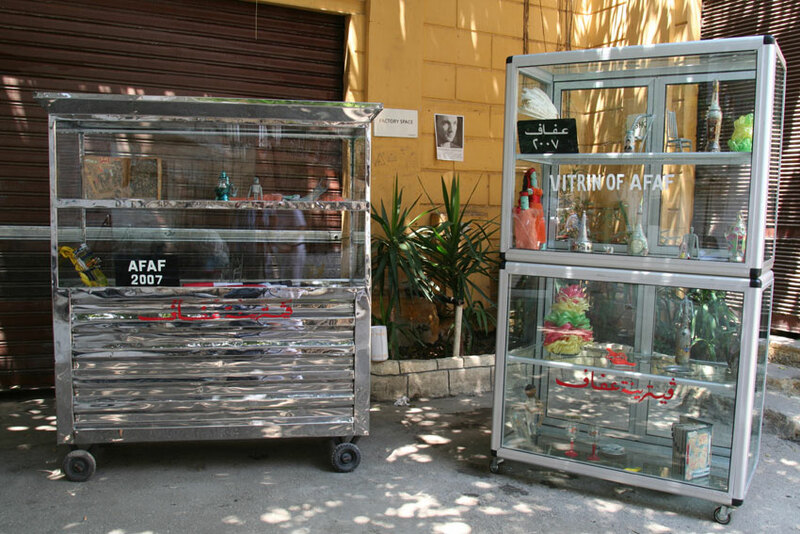 During that time I also developed the work: 4 Vitrines Of Afaf in Egypt collecting objects from women in their houses. I asked them to give me an object from their house, their daily surrounding, any object, which for them contains some special meaning, dream, story, fantasy and which they would like to contribute for a vitrine to be shown in public on the street in Cairo, visible to other people and would later travel around the world. The object should be related to their own identity, all these individual pieces, statements will become part of the work, of the structure, of the net. These 4 Vitrines were first exhibited on the street in front of Townhouse in Cairo 2007, then traveled to the show Museum as HUB at the New Museum, NYC 2008. From there they went to my solo show at Sharjah Art Foundation in the UAE, then 2014 to Villa Stuck in Munich 2014 and this year they were part of my solo show: ToGather at the Whitworth Art Gallery in Manchester, UK. 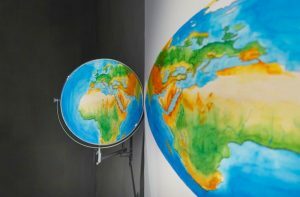 The work remains the same, people all over the world observe the Vitrines in different ways, depending where they are exhibited. It depends on each cultural, social context and background of the viewer. The observer becomes part of the work. He/she will continue to tell the stories. The power of dreams, fantasy and storytelling continues. So can we say that you are a conceptual artist, feminist, or what else? Where should we put you in art history? It is quite simple. I am an artist. This is my life. My work does not need labels. I am a woman and can only express myself from the view of a woman.